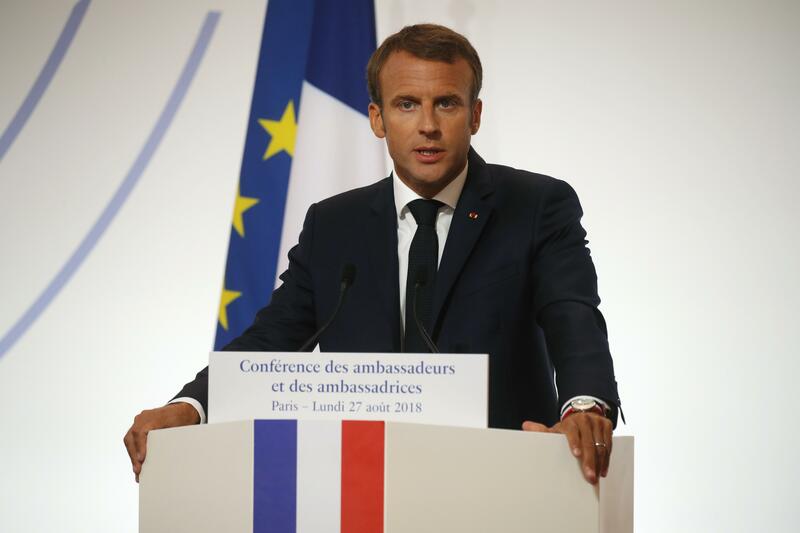 Mon., Aug. 27, 2018, 7:30 a.m.
PARIS – French President Emmanuel Macron pushed Monday for Europe to take more responsibility for its own defense, saying the continent’s security shouldn’t rely so much on the United States and could even include discussions with Russia. At a NATO summit last month in Brussels, Trump put more pressure on European countries, asking them to increase their defense spending to at least 2 percent of their gross domestic product – a NATO goal that many members, including Germany, do not yet meet. Germany is, however, increasing its military spending to 1.5 percent of GDP by 2025. Published: Aug. 27, 2018, 7:30 a.m.